The therapeutic benefits of wormwood were already known to the time of the Gauls. 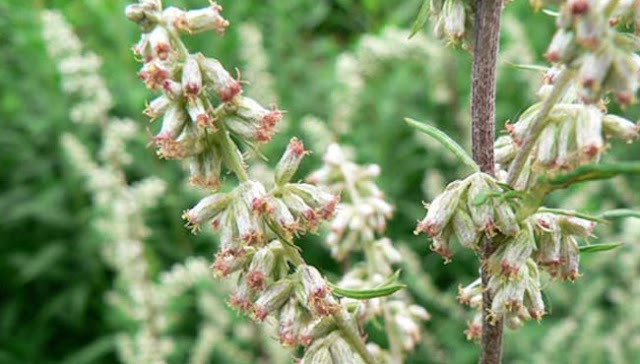 This herb supports digestion and treats menstrual disorders. It is also recommended in the treatment of muscle and joint pain. Here are three recipes sagebrush to yourselves. Infusion: 1 tablespoon of dried plant (leaf and flowering top) in 20 cl of boiling water, let steep 5 minutes, filter. Drink 2 cups a day between meals (female disorders) or 15 minutes before meals (digestive disorders). Let macerate 20 g of fresh flowering tops for ten days, in 1 liter of sweet white wine, filter. Drink 2 glasses per day in Bordeaux during the week before menstruation or to treat digestive disorders. Wormwood, slipped fresh in the boots of hikers, helps to walk a long, thin legs and without blisters. By late afternoon, it mixes with the bath water to relieve muscle and joint pain. The aromatic fresh mugwort herb stimulates bile secretion and makes it more digestible fat dishes. In spring, its young flowering tops knob are also delicious donuts.